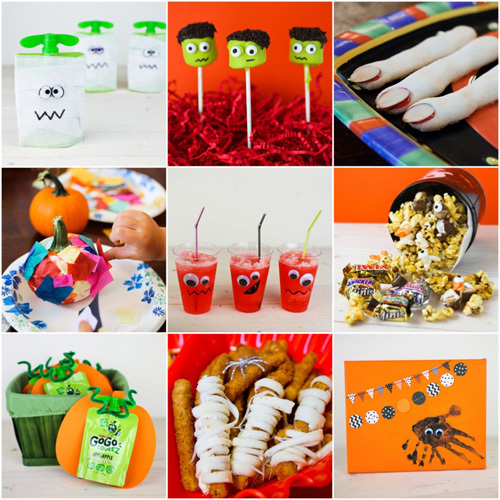 I’m in Halloween crafting mode and have lots of fun ideas to share with you over the next several weeks. 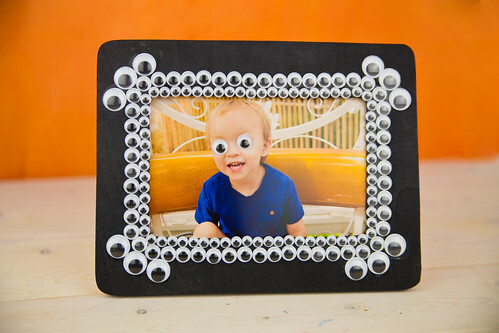 I am all about displaying photos in a fun, creative way during the holidays, and this Spooky Googly Eyes Halloween Frame is exactly that! 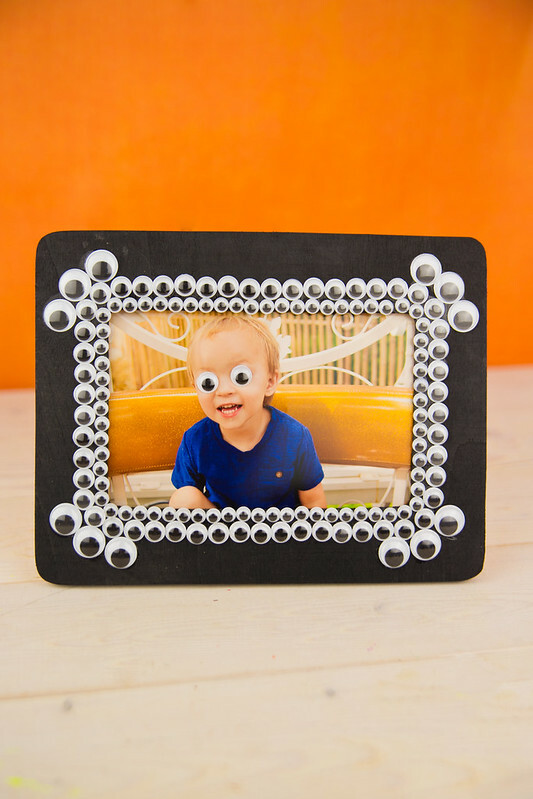 I was inspired by this list of googly eye crafts but I wanted to put my own twist on them. I really like the way they turned out. 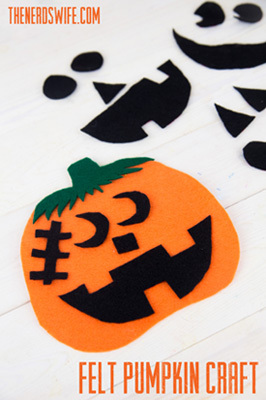 Just the right bit of spooky and cute. 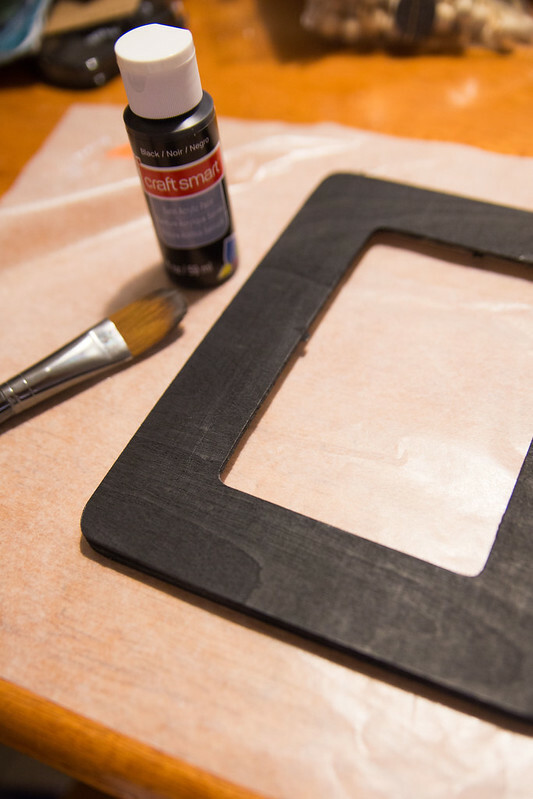 Paint the frame black and allow to dry. 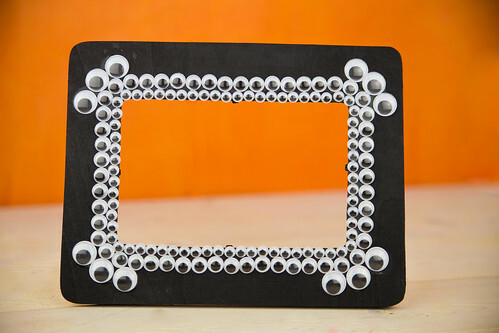 Add a line of glue along the inside edge of the frame and place the small googly eyes around it. 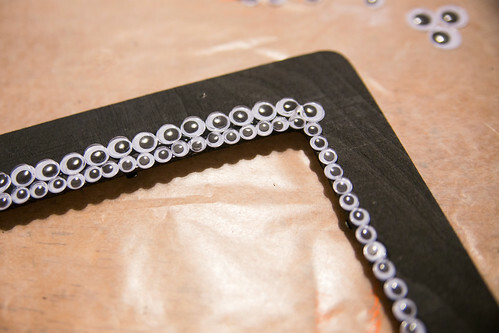 It’s much easier to add a line of glue than to try to glue each eye individually. 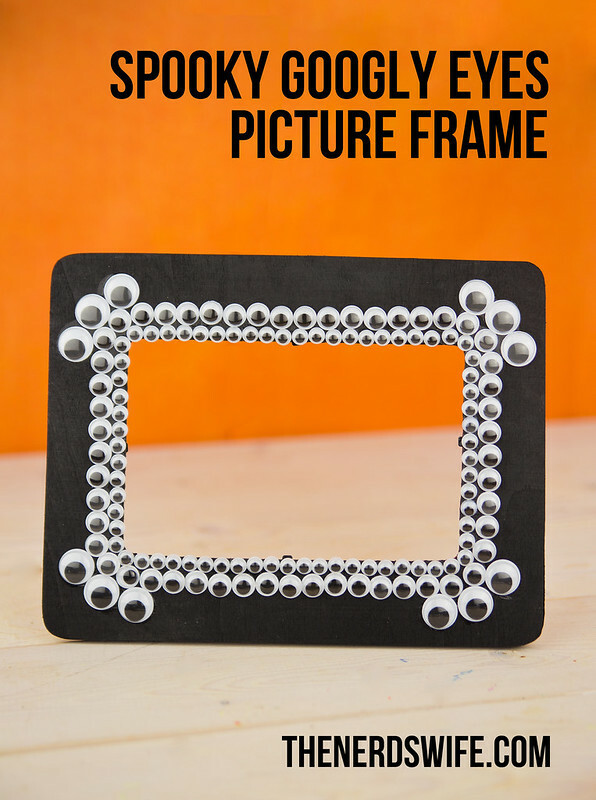 Place the small eyes all the way around the inside of the frame. 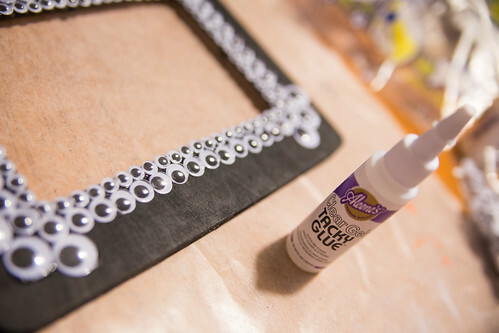 Next, add a line of glue and place the medium googly eyes in a row around the smaller ones. 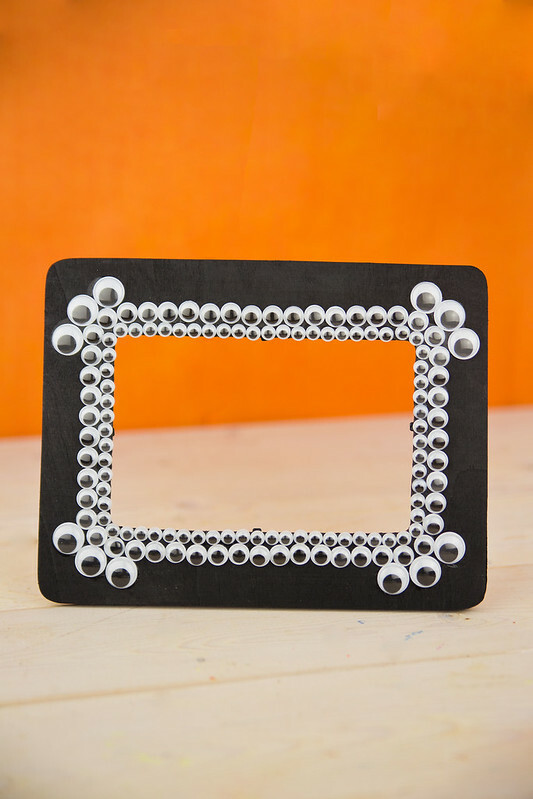 Add three large googly eyes to each corner in a diagonal line. 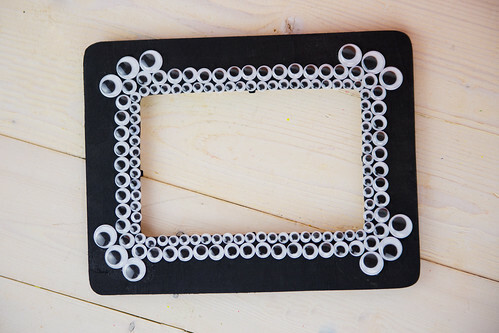 Lay it flat to dry completely. Want to have even more fun? 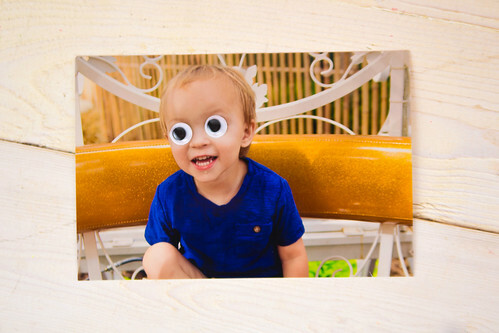 You can really take this project to the next level by finding a fun photo and adding googly eyes to it.